A PIECE of cutlery described as an anti-stabbing fork from Willow Court has recently sold for more than $150 in an online auction. The item had a starting price of $49.99 and sold for $153.50 after attracting eight bids from three bidders. 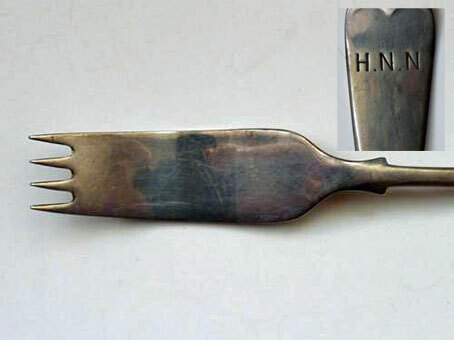 The Hobart-based eBay seller described the hallmarked item as a "Tasmanian Government prison issue anti-stabbing fork for the convict asylum at New Norfolk." The handle was stamped with the letters H.N.N. which the seller stated to be an abbreviation for "Hospital, New Norfolk". The seller went on to say that the 20cm implement had been specially designed to reduce the risk of injury if used as a weapon and concluded that it was a "super rare item as all the cutlery was collected and destroyed" when the hospital closed. A Launceston seller did not fare as well with a signed first-edition copy of Troubled Asylum last week. The book had a starting price of $275 but failed to attract any bids and was withdrawn from sale.